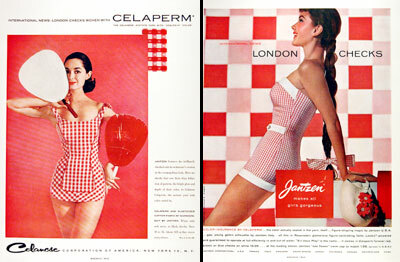 1956 Jantzen Swimsuits original vintage advertisement. Huge double ad photographed in vibrant color. Features new London Checks woven with Celaperm color insurance. Rare fashion ad!